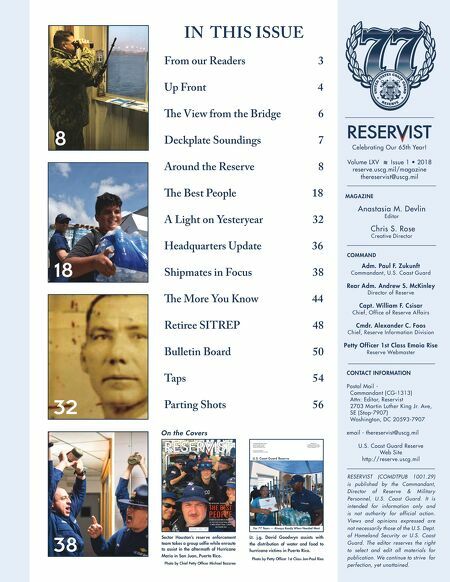 Reservists Need Help From Time To Time CG SUPRT professionals can help you with a variety of issues: • marital and family problems • alcohol and/or drug abuse • tobacco cessation • depression and anxiety • personal growth and development • work-related concerns • career transition issues • legal and financial challenges • balancing work and life demands • health improvement www.cgsuprt.com When times get tough, most of us can benefit from talking through our problems with someone who is experienced and objective. Someone who can help us sort things out... a professional who will listen in confidence and help us find a good solution. 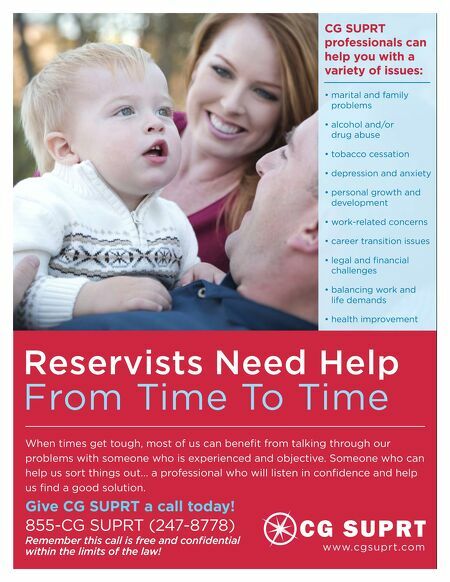 Give CG SUPRT a call today! 855-CG SUPRT (247-8778) Remember this call is free and confidential within the limits of the law!